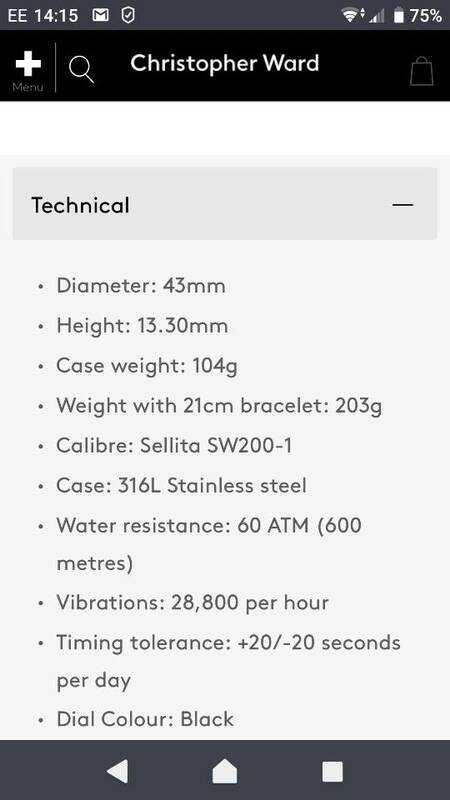 Please could someone tell me the weight of the C60 Trident Pro on the steel strap? .... from the CW website. .... on original bracelet (non-ratchet micro-adjustment) and sized for 7.5" wrist (one link removed from normal / max length). Djwoody wrote: Thank you. Exactly what I was looking for. I’m torn between the 600 43mm and the Aquis Date. The Oris is obviously more money but I guess I’ll have to try them both. very heavy watch. the new ceramics are ever like 210 on bracelet. 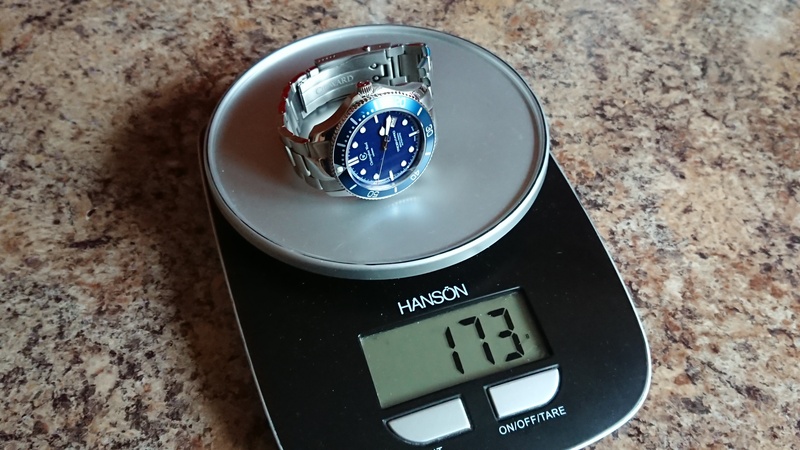 I have/had both and the current C60 on bracelet is just over 200g while the current Aquis is about 160g on bracelet. It makes a significant difference in feel on the wrist. The Aquis is quite a bit more comfortable to wear but lacks the quick adjustment in the clasp. The Aquis Date is nicer than the C60 and worth the extra money. I see that the Aquis has the drivers extension, and has 3 placement holes on the side of the clasp, is this for quick adjustment similar to the C60? The divers extension is too big for minor adjustments. The 3 holes can be used for micro adjustments but you need a tool or paperclip to adjust. That's what I did and, while not as easy as a ratcheting clasp, it worked for me. The Aquis bracelet also has half links and the C60 does not. I sold my Aquis a few weeks ago but already having seller's remorse.. This is what the ratcheting clasp on the C60 bracelet looks like. You can slide the little tab with your nail and adjust without any tools. That is a great idea which should be on all watches, great touch by Chris Ward. I wondered why you were selling it. Everything you’ve said about it revealed how much you liked it (I agree!). Did you see there was a green Aquis in SC? That’s the one I have and it’s fantastic. It was a combination of being more dress than tool watch and the lugs with not being able to easily change straps. And the desire to reduce the size of the collection. The Aquis was easy to sell. It was my second Aquis, I have a feeling eventually there will be a third. All the info you need for the C60 600 is on their web-site - you just need to drill down from 1 of the C60 600 option photos. Sorry but can't help with the Oris.